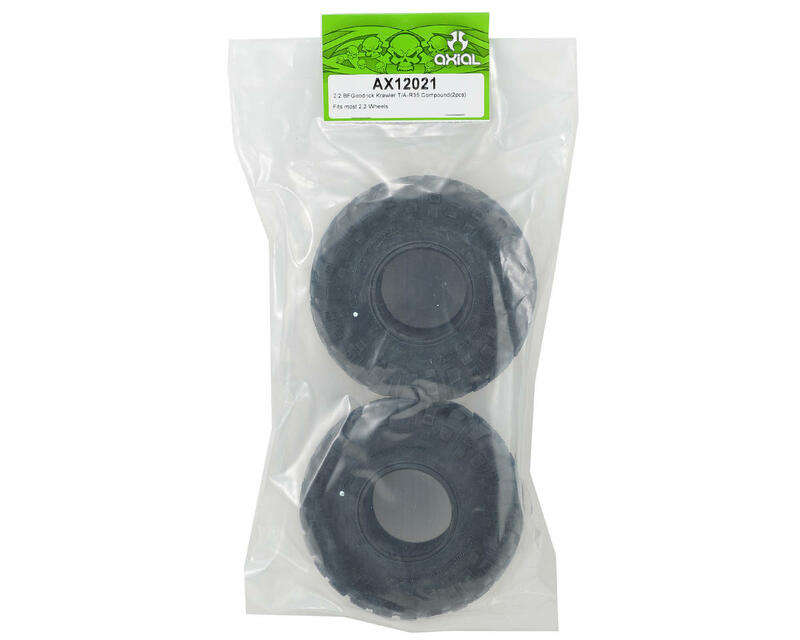 This is a pair of two Axial 2.2 BFGoodrich Krawler T/A Tires, in R35 Compound rubber compound. Officially licensed BFGoodrich Krawler T/A KX tires! 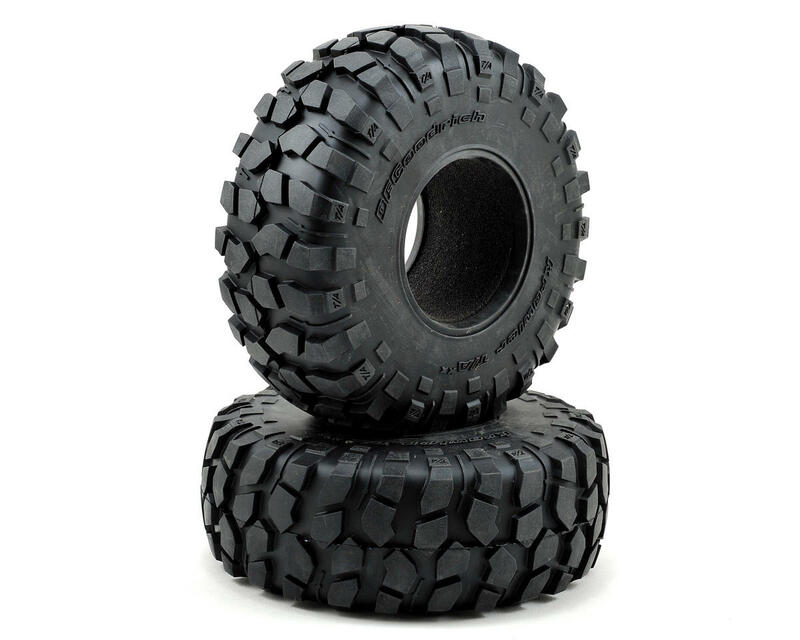 In the full-size offroad world, they are the winner of more rock-crawling championships than all other tires combined (Race spec tire, Years 2004 through 2008). The Axial version captures the same aggressive look you’ve been waiting for in Trail/Comp sticky R35 compound. BFGoodrich Tires Trademarks are used under license from Michelin.